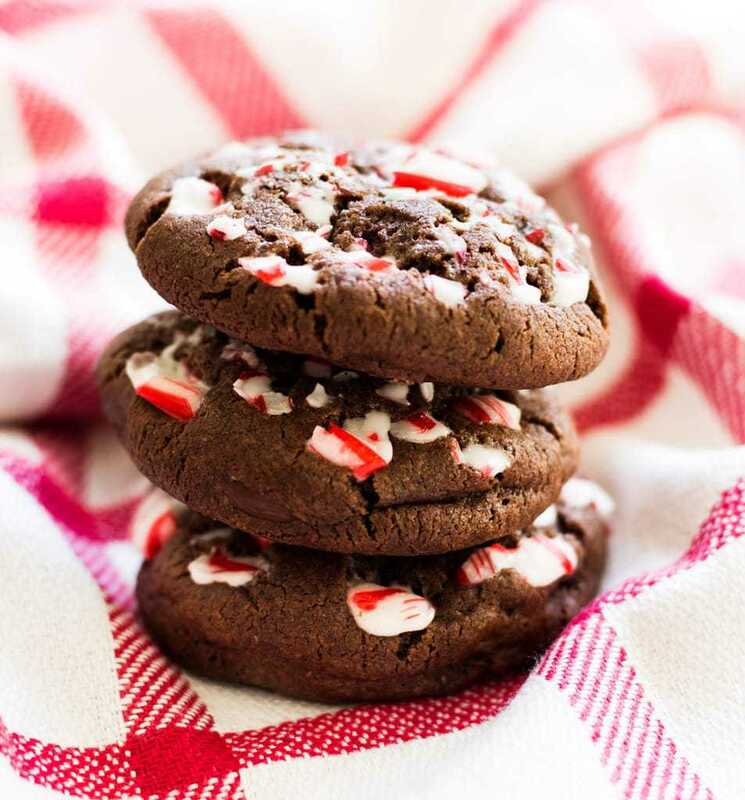 Double chocolate peppermint cookies are made with crushed candy canes and chocolate chips. This recipe is perfect for Christmas! 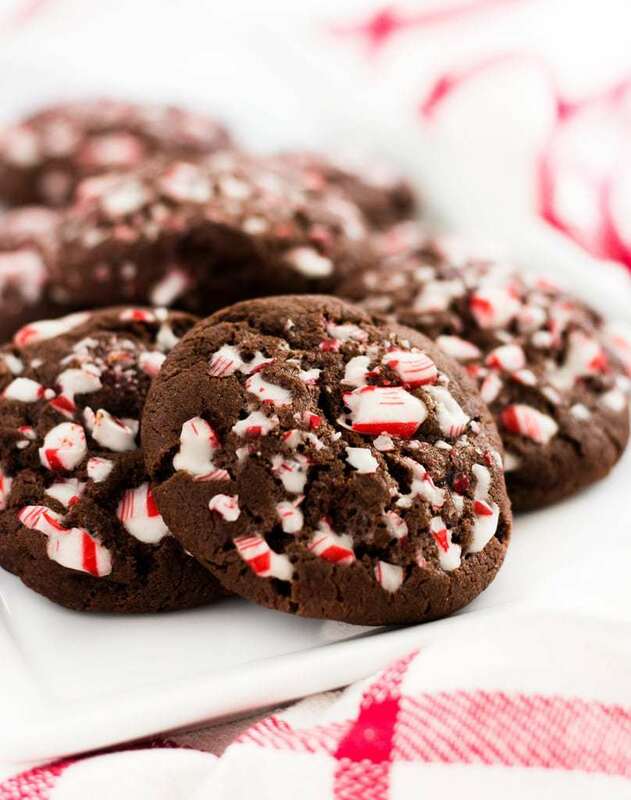 One of my favorite Christmas flavor combos is chocolate and peppermint and these cookies have both. 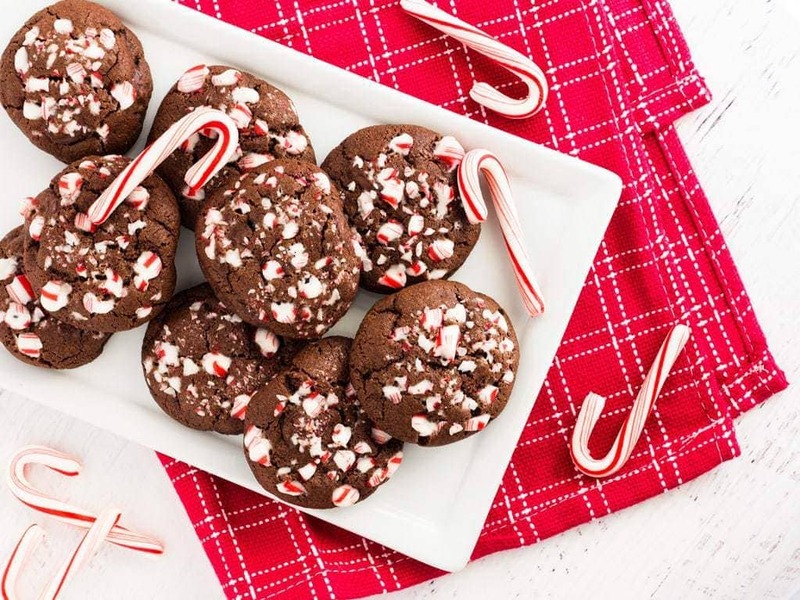 The easy recipe calls for crushed candy canes and chocolate chunks to make every bite irresistible! I’ve been a cookie baking machine ever since Thanksgiving ended. Gingerbread crinkle cookies, peanut butter blossoms, M&M cookies, the list is endless! These chocolate peppermint cookies are unreal though. I took my chewy double chocolate chip recipe and added peppermint extract. It creates that undeniable Christmas candy cane flavor to the cookies. For garnish (and a little crunch) I coated each cookie with crushed candy canes. Putting them on before the baking process melts them a touch, making the candy bits chewy and delicious! 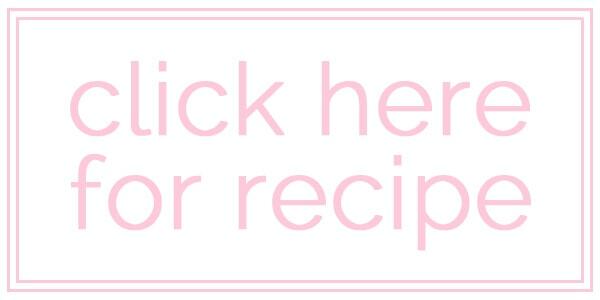 Like most drop cookies, this recipe doubles easily, which is perfect for gift giving! The holiday parties are endless this time of year and you can’t go empty handed. Make a double batch of these cookies and you have endless cookies to hand out. And if you’re one of those people who makes things ahead of time, this dough freezes well too. Simply wrap it in plastic wrap and let is defrost in the refrigerator before scooping and baking. Add this recipe to your cookie list this holiday season. 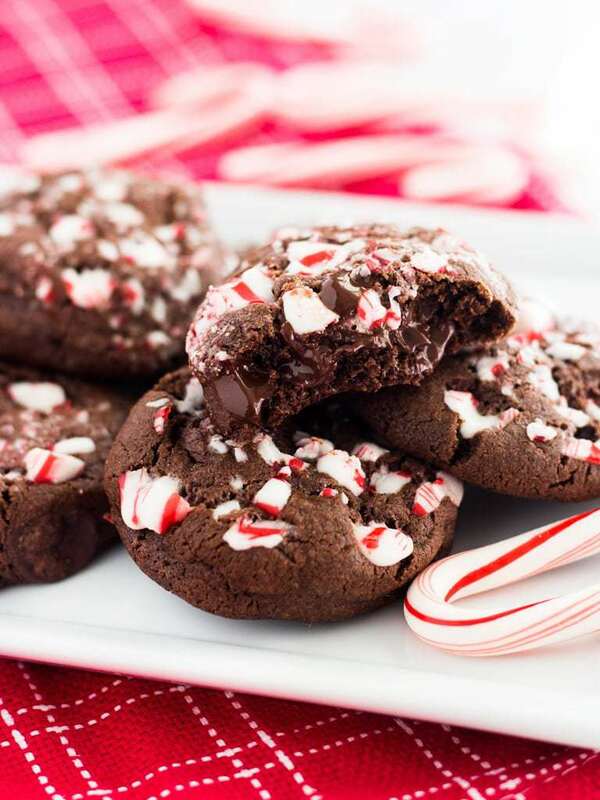 Your friends and family will thank you when you show up to the Christmas party with a plate of double chocolate peppermint cookies! For this recipe I teamed up with Ashley from Spoonful of Flavor. Head on over to her blog for the full recipe!